When you view a house, how often do you glance up at the ceiling? You probably don't! You should though! What state the ceilings are in is important! If they are really horrible then they may have been covered with polystyrene tiles or artexed! If there are polystyrene tiles then you may want to take them down! Old ones are a fire hazard but new ones are available that have been treated with a fire retardant substance to make them safer. If you can find a spare tile in the loft and test it outside by setting fire to it you should find out if they are fire proof. If they are not you should remove them all! Many people don’t like them and remove them! If you remove them and the ceiling is in need of some attention it depends on how bad it is as to your solution. There are extra thick paints that are good for fine cracks, textured paints for more problematic ceilings and as a last resort you could have the ceilings skimmed by a plasterer. You can also get British Gypsum MF (metal furring) system. You just put this metal grid system up about 50mm below your existing ceiling and screw new plasterboard to it. You have a lower ceiling so it might not be suitable for all rooms but it will give you a level ceiling. You get tapered edge plaster boards that you tape the edges over and this just needs skimming over. If you’re going for a plasterer to do the work then ask them how much it is to do the whole house worth of ceilings. It’s quite messy work and easier to do all at once on an empty property if possible. You could also remove all the old ceilings and replace the boards entirely from scratch. This is more messy! 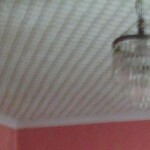 Modern ceiling tiles are available and have different textures and patterns on. They also act as insulation too! 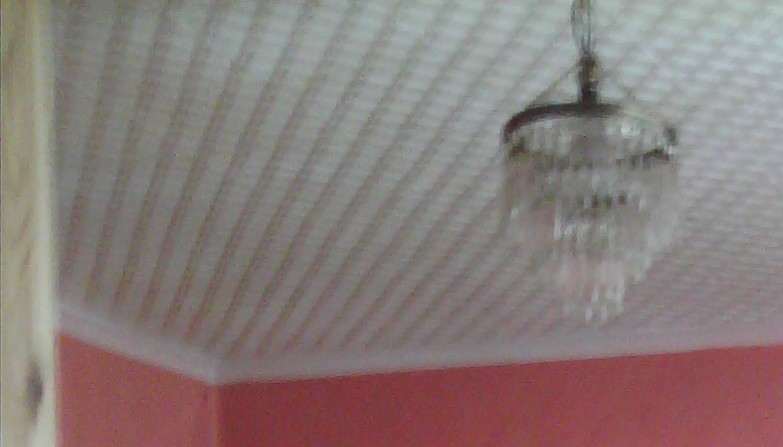 This entry was posted in Viewing houses and tagged ceiling, polystyrene tiles. Bookmark the permalink.